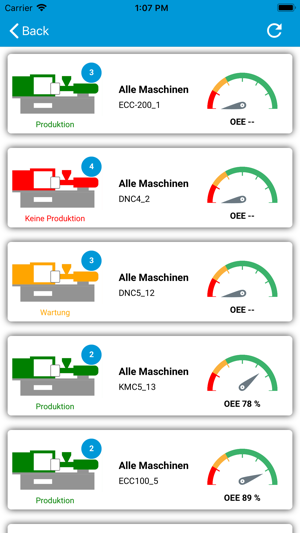 The TIG Shopfloor App is part of the TIG authentig MES package and enables the use of the main functions of the TIG authentig MONITORING module on the smartphone. 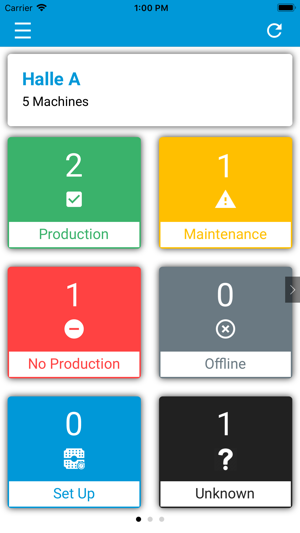 •Summary of the overall state of the production (if required, separated by production halls, machine groups or other self-defined filter criteria). 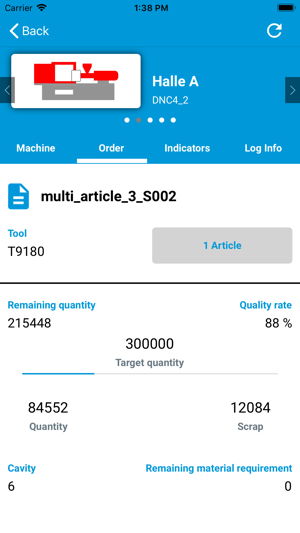 •Display of the current order at each individual machine including target quantity, production progress (good and bad quantities) and expected remaining time. 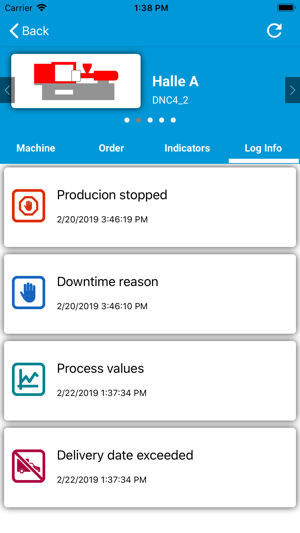 •Display of device status, production status and downtime reason for each individual machine, including a comprehensive log of all production-relevant events such as order starts, status changes or production interruptions. 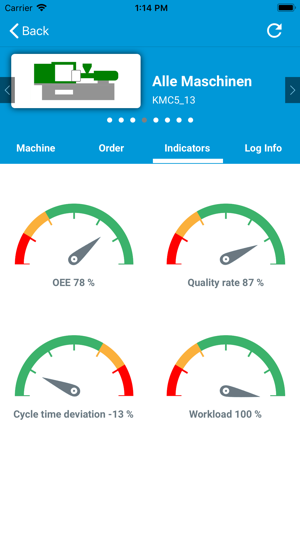 •Display of utilization level (availability), performance (cycle time deviation) and quality rate (first pass yield) including current OEE for each machine. 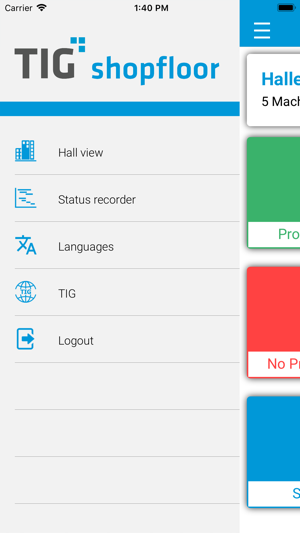 •The status recorder, by means of the colour-coded representation of each machine, allows a complete vizualisation of the entire production process over any period of time. The wealth of thoroughly prepared and clearly presented information makes the production completely transparent. 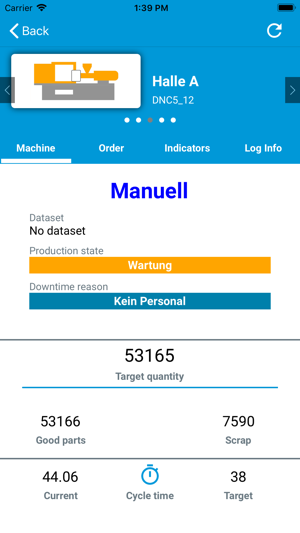 Quantities produced, uptime, production speed and quality rate are immediately available for any resource group and for each individual machine. 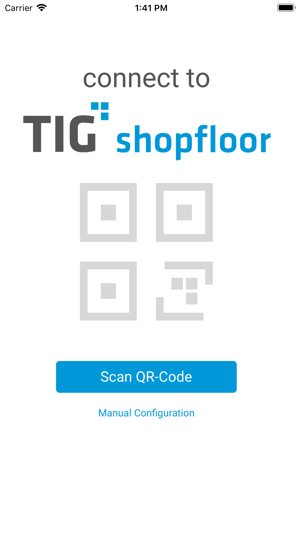 The TIG Shopfloor App provides the production manager with a comprehensive, readily available insight into all production-relevant factors. 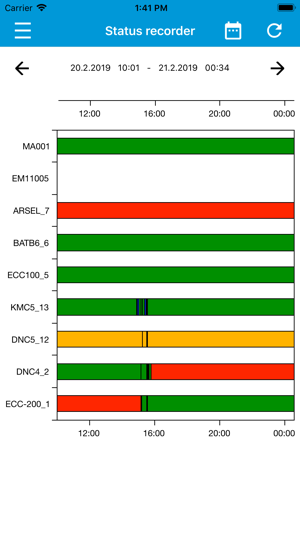 By detecting problems at an early stage, quality- or downtime-related losses can be avoided, and the optimal use of all production resources can be ensured.